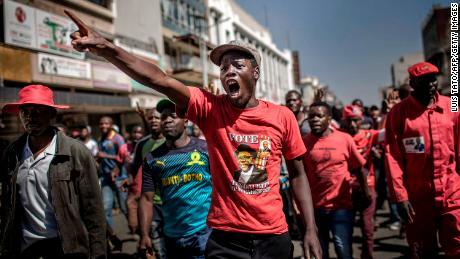 The country’s ruling Zanu-PF party won a sweeping majority in parliament, electoral officials said, amid growing anger among opposition supporters over the outcome of the country’s first election since the toppling of veteran leader Robert Mugabe. 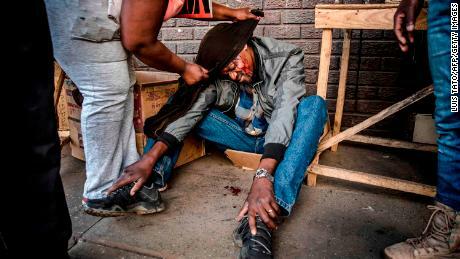 Clashes were reported in the capital, Harare, and international monitors called on the electoral commission to publish the results of the closely fought presidential race. 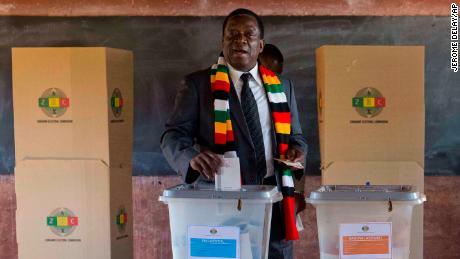 Officials have so far declared the results of only the parliamentary vote, which gave Zanu-PF two-thirds of the seats. 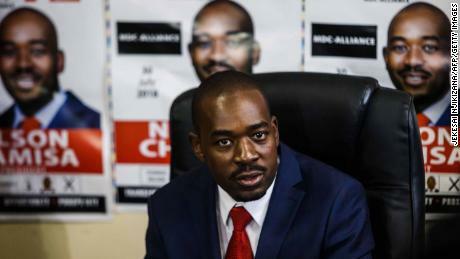 Movement for Democratic Change leader Nelson Chamisa mounted a strong challenge to President Emmerson Mnangagwa, who took power last year after a show of strength by the military forced Mugabe out. The results of the parliamentary elections have stoked fear among opposition supporters that the vote had been rigged. 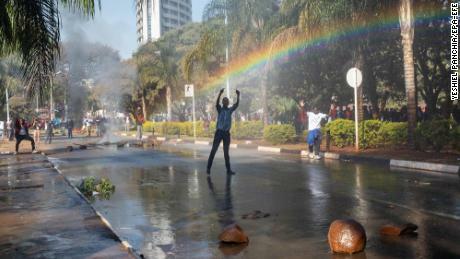 In Harare, automatic gun fire was heard as police and the army attempted to disperse protesters. 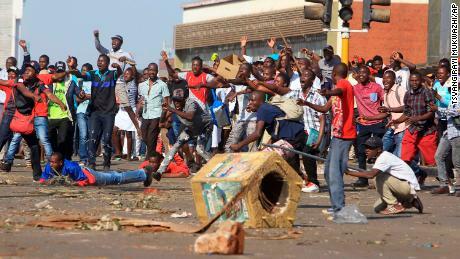 Tear gas and a water cannon were also used as protesters fled the scene. 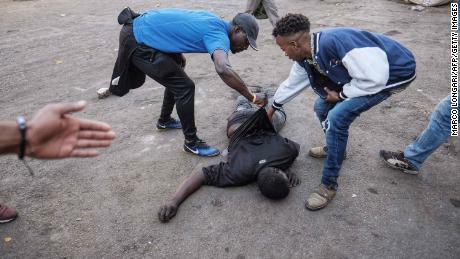 A number of protesters appeared to be beaten up by security forces as they demonstrated close to the hotel hosting international election monitors. Burning tires could be seen on the roadside while armored vehicles patrolled the streets and a police helicopter flew above the protesters. 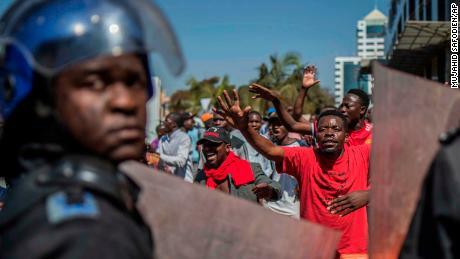 Mnangagwa has blamed MDC for the unrest, saying party leaders had abetted in “acts of political violence,” while Chamisa’s spokesman maintains that protesters were not violent and the deployment of soldiers was unnecessary. Chamisa hinted he could reject the official result if it doesn’t go his way. Zanu-PF hailed the parliamentary reusults. Elmar Brok, chief observer of the European Union Election Observation Mission Zimbabwe, urged the country’s electoral board to announce the results as soon as possible. “The longer it lasts that the results of the Presidential election are unknown, the more lack of credibility arises in Zimbabwe, within the parties and within the population,” he said. 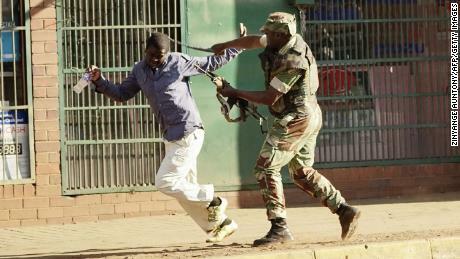 The US Embassy in Harare and the UN issued statements saying they were concerned about the events unfolding in the capital. 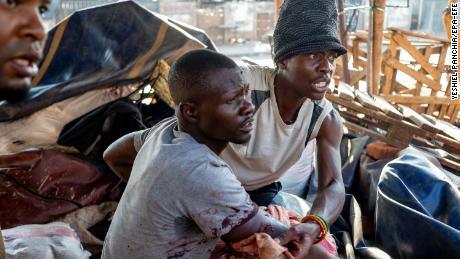 Mnangagwa, 75, who took power after helping orchestrate the de facto coup against Mugabe in November, said he was receiving “extremely positive” information on the election. Meanwhile, Chamisa, 40, said his party was poised for victory. 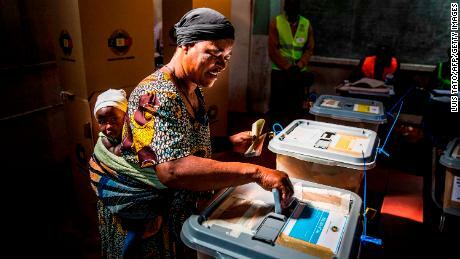 The chair of the electoral commission, Justice Priscilla Chigumba, told reporters in Harare on Tuesday that the commission was confident there was no cheating or rigging in the largely peaceful vote. Observers were present to monitor the election for the first time in years, including 20 teams from the US Embassy in Harare. But observers from the European Union disagreed, claiming that “a truly level playing field was not achieved” in the run-up to the election. The commission has until August 4 to release the final results. If no candidate secures more than 50% of the vote, a runoff will be held September 8. Known as “the crocodile” for his political cunning and longevity, Mnangagwa has attempted to rebrand Zanu-PF, pledging to heal divisions and rebuild the country. He is still widely considered to be Mugabe’s man because he worked so closely with him for more than 40 years, first as his special assistant during the 1977 liberation war, and later as security minister and justice minister. During the campaign, Chamisa aimed to appeal to younger voters with promises of electoral reform, tax cuts and jobs. 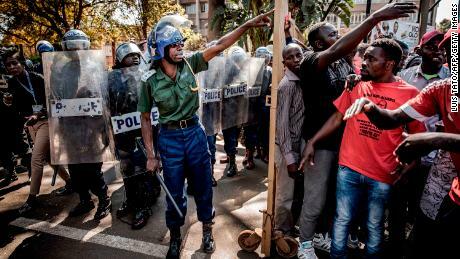 While his message may strike a chord, he does not have the same level of backing from the security forces or military who oversaw Mugabe’s departure. But both men face a mighty challenge to help the country recover from the dire economic situation that was inflicted upon it by Mugabe’s rule. Columbus Mavhunga reported from Harare. CNN’s James Masters wrote from London, and Eliott C. McLaughlin wrote from Atlanta. Anna Cardovillis in Nairobi, Zahra Ullah in London and Brent Swails in Johannesburg also contributed to this report.